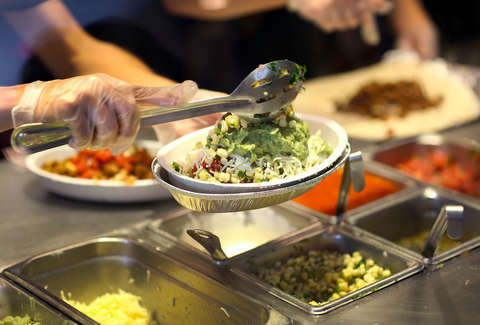 Chipotle Is Closing Dozens of Locations Over the Next Month. Here’s Why. Chipotle is preparing to make some big changes in the coming months in an effort to get its business back on track, and it will start by shuttering over five dozen locations all across the country. The fast-casual burrito chain announced on Wednesday that it will soon be permanently closing between 55 and 65 underperforming restaurants, and that half of those closures will take place within the next month. The announcement from the chain, which has been struggling to woo back diners freaked out by food safety issues in recent years, is just the latest in a series of major changes that have been introduced since former Taco Bell CEO Brian Niccol stepped into the role at Chipotle. Since Niccol took the helm in March, the company has unveiled forthcoming new menu items that extend well beyond the limited scope of what's currently offered, including things like quesadillas, nachos, avocado tostadas, and milkshakes. It's also announced plans to relocate its headquarters from Denver to Newport Beach, California. In addition to the news about closures, Wednesday's call with investors also included more exciting details. It teased plans to introduce a happy hour promotion during off-peak hours that will include $2 tacos and alcoholic drinks, and that you'll soon be able to order delivery through the Chipotle app from around 2,000 stores around the country. Also, execs said the chain is getting ready to roll out a loyalty program, which it will reportedly begin testing in the second half of this year. At the moment, it's unclear exactly which 65 Chipotle locations -- less than 3% of its total footprint in the US -- are on the chopping block. However, the company did say that the closures will include five of the seven remaining locations of its fast-casual pizza chain, Pizzeria Locale. Then again, it's probably safe to assume that if the Chipotle(s) you frequent are generally busy and buzzing during peak hours, they're safe from the ax. Chipotle isn't the only major fast food chain planning to significantly cut back on its location count. Earlier this month, Starbucks announced that it'll be shuttering a whopping 150 stores in 2019, or roughly triple the number it typically closes per year.